Today, I wanted to share with you one of the best decades for pinball machines. THE DECADE OF THE 90! Every good fan of pinball machines knows, that some time ago, they occupied a privileged place in the places where they were. They were machines that shone (and still do) with their own light. Subsequently, they suffered their worst period. In the 90s, we can say that pinball machines are resurfacing again. That is why, from my humblest and sincere opinion, I think that in this time the best models of pinballs were designed. The highlight of this pinball was the appearance of the monster in the form of a hologram on the back of the pinball machine. As a curiosity, this machine lacked copyright, so one of its creators, introduced instead of Richard Carlson to his father. 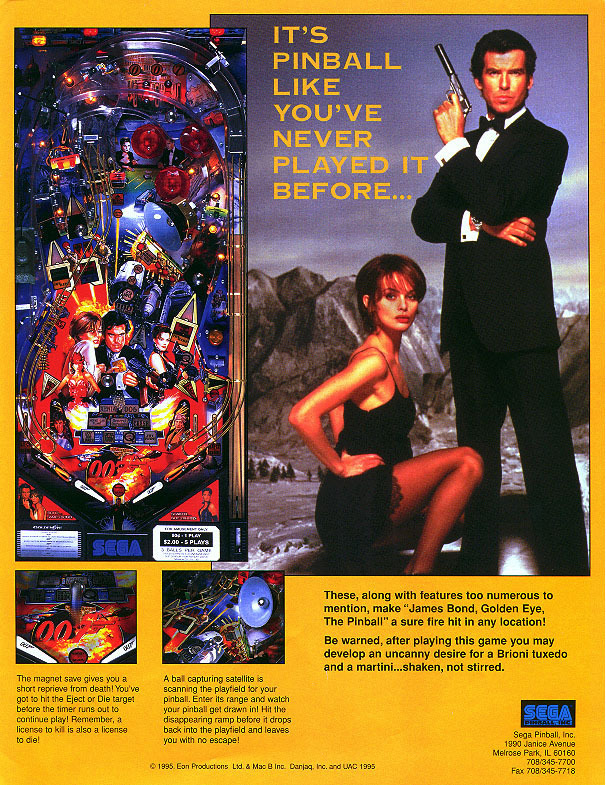 We can not talk about the 90s without mentioning the best-selling pinball in history. Its main characteristic resides in a flipper that can not be controlled by the player, if not that it was programmed to move by itself. It was the first pinball made in the 90s. This game is part of the widebody line of WMS games. It was first released in 1993 by Midway (under the Balli label). Twilight Zone is currently the highest rated electronic pinball machine of all time in the Internet Pinball Machine database. Star Trek: The Net Generación (1993). You have to overcome 7 missions to reach the final. You could play up to 6 balls simultaneously. It is the only pinball machine that presents three lists of separate highscores. Indiana Jones: The Pinball Aventure (1993). In the early 90’s, Indiana Jones arrived. It is a pinball to which I have special affection, it was the first with which I played with Pinball mouse. His gun to get the balls caught my attention. It features sound clips from the first three films, and actor John Rhys-Davies (repeating his role as Sallah) provided a new discourse for the game. It was the first pinball to use the DCS sound system. They were manufactured 12716 units. The game uses the DCS sound system. It was manufactured by Midway, holding the right flipper and then pressing Start, revealing Mortal Kombat attacks. 6,600 units were manufactured. First and only pinball based on Hindu themes. 3,128 units were manufactured. It is based on The Thousand and One Nights, where players can experience 7 Tales of the Arabian Nights that include a tour of the ancient city of Baghdad, fly with the magic carpet and fight against the evil genius. Rubbing the magic lamp evokes good geniuses who help rescue the princess. The game uses a vertical magnet deviator that grabs the ball and throws it to the player to have more suspense as a first industry. The game also includes spikes that get up and save the ball when the shooting stars are summoned. It was released by Williams in June 1997. Designed by Brian Eddy and programmed by Lyman Sheats, it had a production of 4,016 units. One of the main objectives of the game is to “destroy” six castles by hitting the entrance of the castle with the pinball. Cirqus Voltaire (1997)His game was to find nine ¨marvels¨ and get the description of the word circus. The most notable feature is the master of ceremonies, a head that rises at certain times and makes cracks against the player. Another machine of monsters, but with licenses of all the characters. Its most special feature was that if the flippers moved several times before throwing the ball and hit at a fixed point, the music was played accompanied by the voice of the programmer. And you… Would you include any other pinball? All fans of pinball machines can enjoy them in their clubs with their friends, in different places of leisure and even in their own homes. But, do you think this has always been the case? 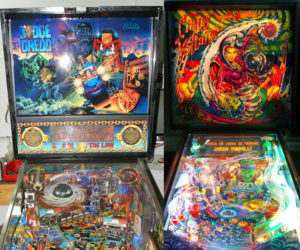 Pinball machines were banned from the 1940s to the 1970s in the major cities of the United States, coinciding with those where the game was invented, such as Chicago, Los Angeles or New York. – Pinball is a game of chance. The flippers were not invented until a few years after the prohibition. So the players hit and tipped the machine to direct the trajectory and gravity of the ball. – Many “legislators” believed that pinball machines were related to the mafia. – They were stealing American children. Many schoolchildren invested their ten cents in enjoying the game of these machines, which for many, was a waste of time. – Mayor Fiorello La Guardia told the police that his main job was to destroy all the pinball machines and arrest their owners. For this reason, the game of pinballs was disputed in hiding. May 15, 1940: Urban F. Emme, chief clerk of City Marshal’s office, welds sledge hammer on confiscated pinball and other marble machines ordered destroyed by Municipal Court judges. This photo was published in the May 16, 1940 Los Angeles Times. – During the War, like all the American industry, the factories of the United States were destined to the production of weapons, so the production of pinballs was significantly reduced. In 1976 the pinball machines became legal again. Roger Sharpe, showed that pinball was not a game of chance, but skill (one of the reasons why pinballs were prohibited). For this and in a situation of tension in which he was surrounded by the press, political positions and a game that he did not dominate, he knew how to get out and achieve what years ago others, had forbidden, the legality of pinballs. In Nashville, where children under 18 are totally prohibited from playing with pinball machines. Ocean City (New Jersey) where on Sundays exclusively, you can not enjoy these fantastic machines. After talking about the history of pinball today we will try to make a list of the best pinball. The Pinball; These curious boxes that crossed the era of mechanical and electronic games both at the top and the sinking of arcades and still remain in numerous restaurants, ice cream shops, supermarkets and bars. Those arcade machines that always competed for our attention (and for our coins). Today we have to talk about pinballs that have appeared in movies, after having talked about the most popular musical theme pinballs. And all this is because turning a Hollywood SCREEN into a GAME with three metal balls is not easy. Years ago, the Pinball machines had their time of full splendor in the entertainment sector. In a world without so much technology, leisure and fun were insured with this type of machine. In fact, the popularity was so great that its use was banned in some North American and New York cities, because it was associated with the “Mafia” collection machines. It was not until 1976 when he managed to show that it was a simple game of skill and not chance. Even so, the “petaco machines” or “flippers”, popularly known, did not stop increasing their fame. So they appeared as part of the cinema in films like The best years of our life (1946), Anatomy of a murder (1959) or Big (1988). Despite its triumph, the major manufacturers took many years to obtain the appropriate licenses and began to launch models inspired by films without the need for a design license. Some examples were; 2001 (inspired by Stanley Kubrick), Wizard (inspired by Tommy), Barbarella or Jean-Claude Forest. What are the SuperPin pinball? SuperPin pinballs are machines manufactured by Williams and Midway launched between 1993 and the end of 1994. They are a type of pinball with a wider type of furniture in the part of the playfield, being almost as wide as the back of it. We can appreciate this difference with the following image. The beginning of the pinball is attributed to Montague Redgrave an Englishman who in 1869 built a factory of a well-known French game called Bagatelle that consisted in making a ball fall in different holes. 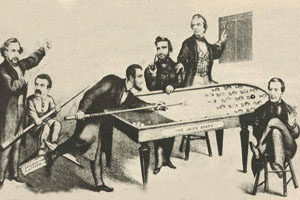 With the extension of this game improvements were introduced with the passage of time, the billiard stick that was used to throw the ball by a spring was changed, the size of the board was reduced and consequently that of the balls and they were also changed obstacles by pings (hence English for pins) hence we now know these machines as pinball.